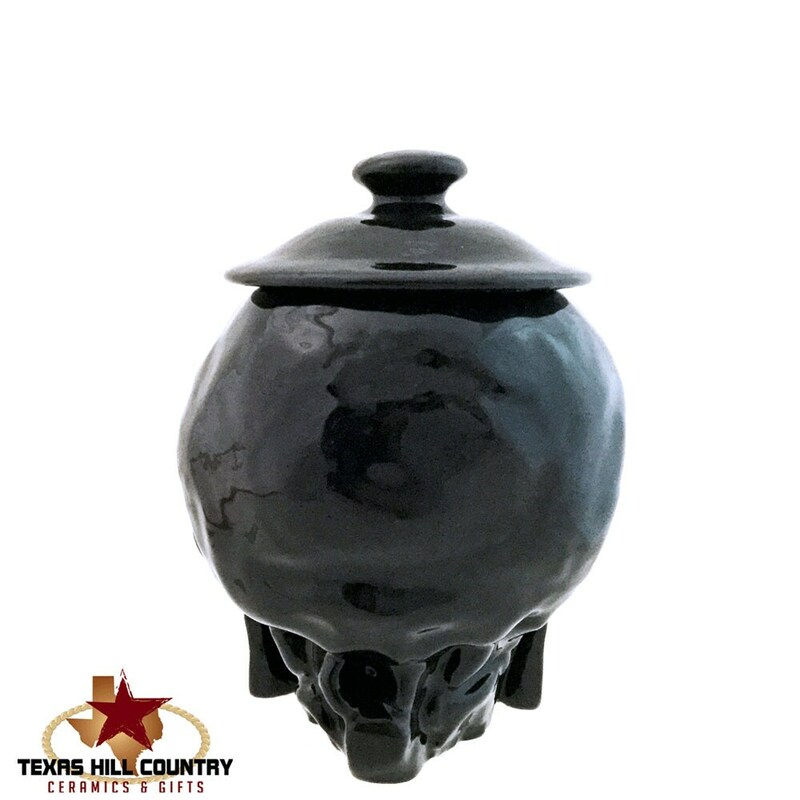 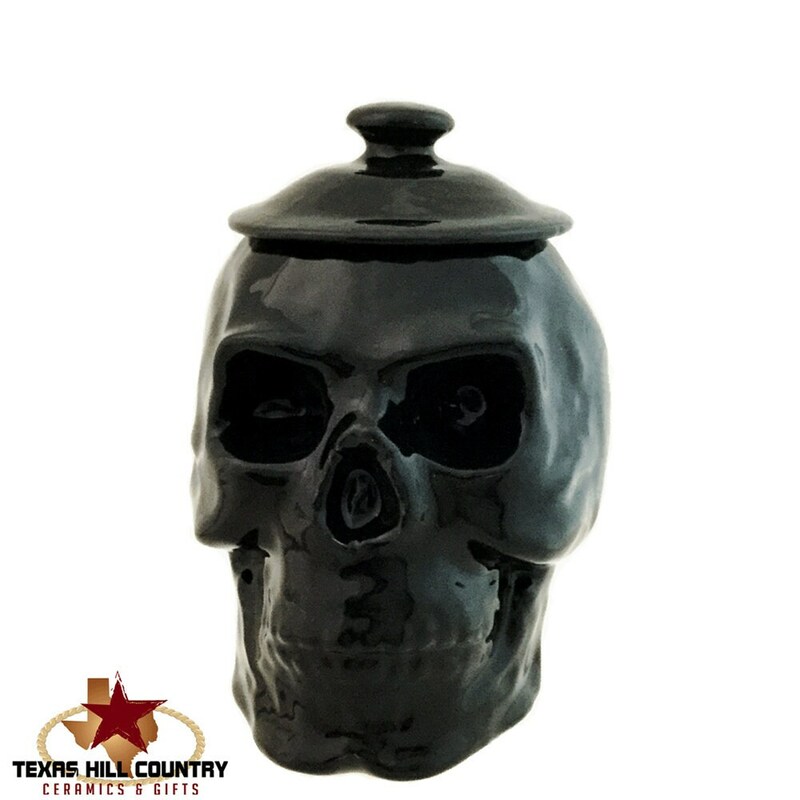 This skull container with lid can be used as a sugar bowl on the kitchen counter or on the bath vanity for cotton balls. 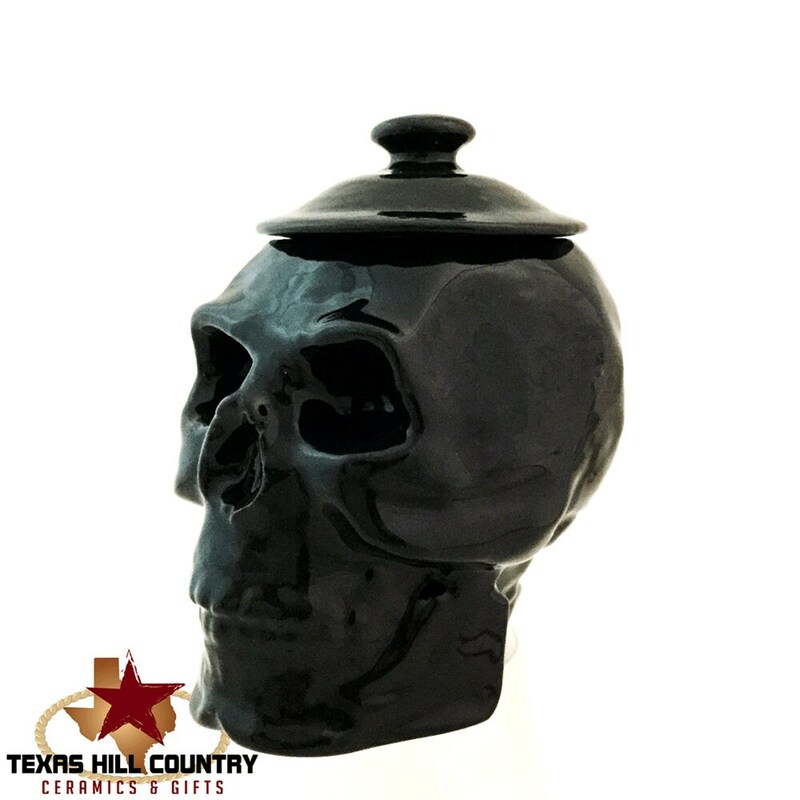 The ceramic skull pot with lid will hold just about anything that needs to stay dry. 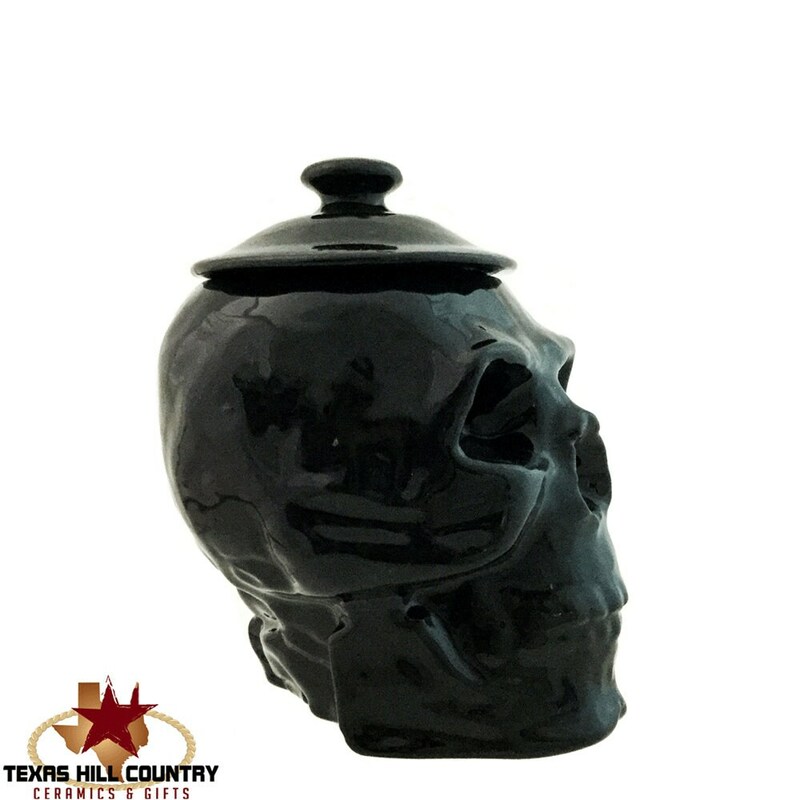 This ceramic skull is part of my skull ware collection I have created, it is also a great accent piece for you haunted mansion, Halloween horror decor or zombie Friday the 13th celebrations. 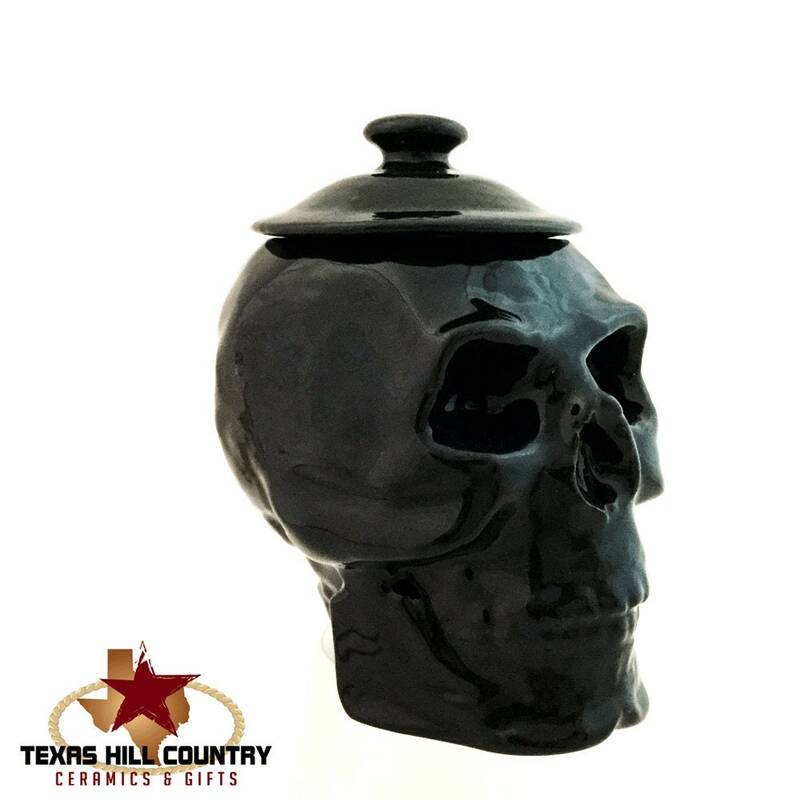 It is a great item for adding some creepiness to any home or office, perfect to hold sugar or dry creamer on your coffee bar.